Enjoy the flexibility of our Hot Desk Membership with multiple work areas to choose from. Environments to suit your work preferences that enable you to find your productivity centre within the professional setting of the Workcentral community. We have membership packages to suit all budgets and business needs. If you are looking for a more permanent solution, our booths provide the privacy and focus within a walled environment. 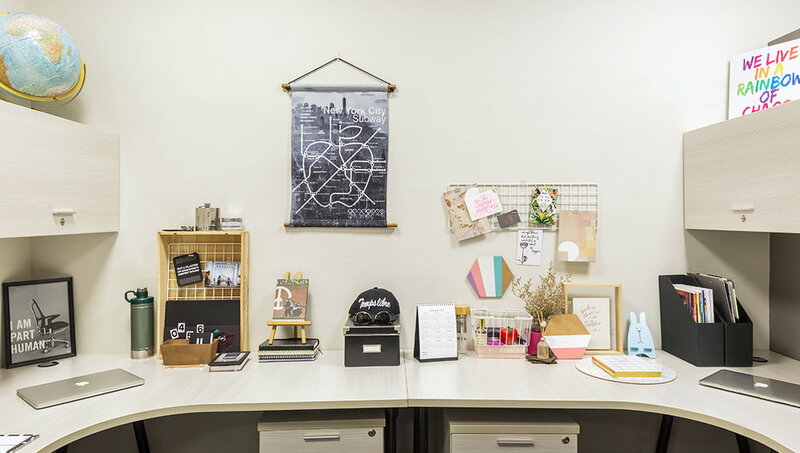 Your dedicated desk and storage space allow for personal styling whilst being steps away from communal areas. 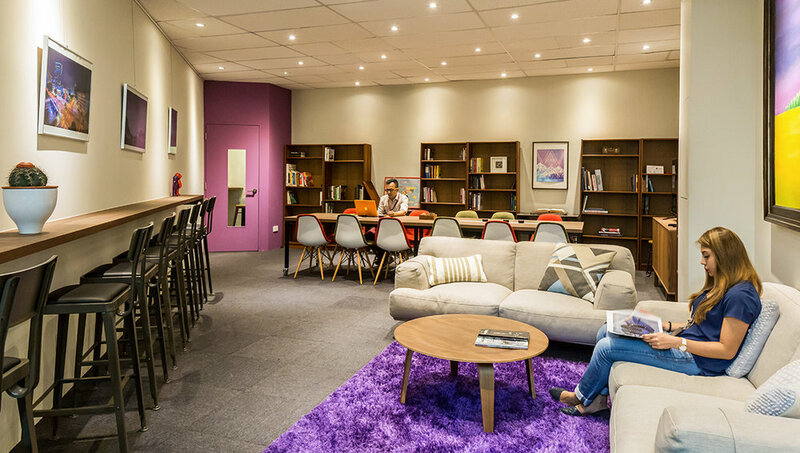 A perfect combination of co-working benefits. A dedicated space for you and your team, our suites help you focus on the tasks at hand. With authorised access only, they are ideal for teams that need more security or privacy whilst being part of a co-working community and the benefits that are available. Our revamped West Wing will be home to one of our newest membership offerings with dedicated team seating. Sit with colleagues and partners to enable quick communication flow. Ideal for small teams who still want to be part of the open plan design of a co-working space but don’t need the privacy of a team suite. Available for pre-booking now. With a higher seating capacity our premium suites are now available for pre-booking. Set within the extension of Workcentral space the suites offer team privacy whilst having access to co-working member benefits. The Dining Hall will offer premium hospitality combined with flexible work and event space for members. Host lunch meetings with clients, attend networking events or simply find an alternative place to maximise your productivity. Workcentral’s in-house pantry and social hub where members can unwind and recharge with our coffee-blend-of-the-day and a quick snack from the honesty bar. A perfect space for networking, your clients are also welcome here; invite them to discuss your next groundbreaking deal at ease. A relaxed working environment for when you need a change of scenery or quiet team discussion. Make use of the standing counter, reading material or phone booth to maximise your productivity. The Reading Room is also available to rent as an event venue for team gatherings, presentations and workshops and includes an LCD screen for content. Our largest event space, The Annex is perfect for seminars, workshops and corporate functions. The adjoining meeting rooms are available by the hour or can be used as breakout rooms for larger gatherings. Our modular furniture gives flexibility to venue set-up dependant on your needs. The most formal space within Workcentral the Boardroom is perfect for when you need to impress and host external groups. Ideal for discussions and presentations in a round table setting the space includes a projector and large screen ideal for pitches. For more private discussions or client visits, our meeting rooms offer a dedicated space for interactions. Available by the hour, each room comes with access to a white board, LCD screen, teleconferencing facilities and wi-fi. Drop us a line anytime, and one of our community managers will be pleased to welcome you and give you a tour of Workcentral.